Bath screens are quickly replacing the traditional shower curtain, and looking through the Q4 range it is clear to see why. Q4 is pleased to offer high quality bath and shower screens from leading manufacturers with EasyClean Glass. Our large range features bath screens of different shapes and sizes. Whether you need a screen for a traditional, curved, or L-shaped shower bath, we can meet your requirements. Available in 6 or 8mm glass, our bath and shower screens help reflect light through your bathroom, and prevent water spillage. Installing a shower bath acts as a great space saving solution, and by adding one of our top quality bath screens, your bathroom will seem even bigger. 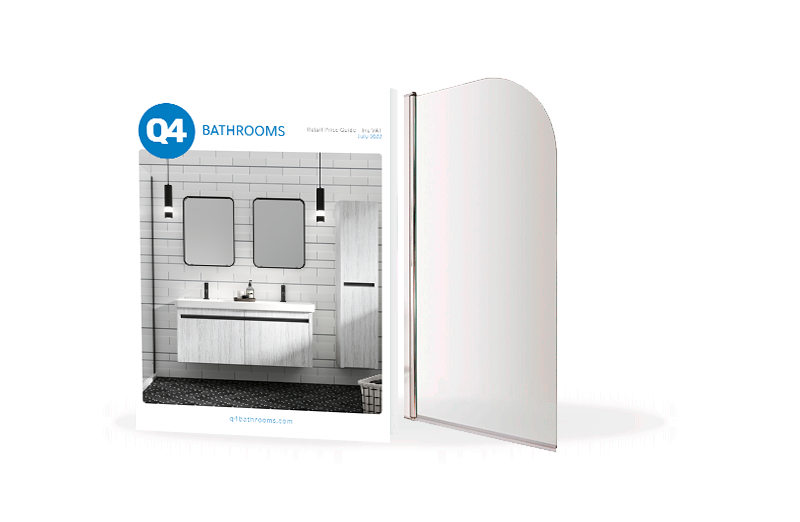 Why buy bath and shower screens from Q4?